There seems to be a gap between your artistic activity locally and what you are producing now? Before I fill in that gap, I need to go back to the moon landings. I was interested in science, space travel and the moon landings. For the coverage of the moon landings the BBC used the introduction to Richard Strauss’ Also Sprach Zarathustra as their theme tune. It is a thrilling piece of music and I only learned later that it was part of the Stanley Kubric film 2001 A Space Odyssey. I was about 11 years old and I tracked this piece of music down. I bought the soundtrack and I played the record on our old record player and I found other pieces of music that I really liked that Kubric had selected as part of the soundtrack. There, I discovered Ligeti’s Atmospheres and Lux Aeterna which were much more textures rather than melodic music. I found these other-worldly and they captured my imagination. And these pieces allowed me to think about music being something different. That it could be about soundscapes and layered textures rather than the “traditional” way music was produced. I played this music over and over again and the seeds from listening to this particular type of music stayed with me until the present day. This way of thinking also led me to buy a synthesizer- I wanted to be able to create sounds from scratch. 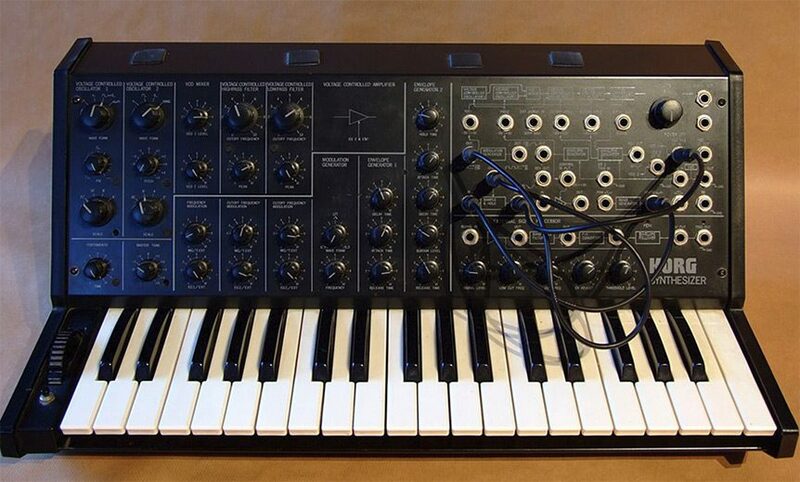 You were attracted to synthesizers? Yes, I bought a synthesizer, a Korg MS 20 and I introduced it to the band Music for the Deaf and it didn’t work for that group, so I left MFD and worked with Steve Swales and The Allotropes again for a while, doing more experimental stuff. Eventually, I became focussed first on being a political activist, and then family life, and my day job. My artistic life practically ground to a halt. In your artistic life now you work in a number of media, sonic art, film, experimental Jazz, noise music. Could you talk about that? I should start with the idea about aspirations and an audience. A lot of people start out with fame as their primary orientation and so in order to achieve that it pretty much demands working in a derivative way. I start with the idea that I want to produce interesting work and mostly that will mean that I won’t be producing material for a mass audience. I am happy enough if a few people like what I do. For me it isn’t about making money. I am quite open about that… but artists do need to eat! When I was younger, and this would be similar I think for many young musicians, I did think about producing material that at least had a chance of being popular. I certainly don’t have that approach now and I think it isn’t a particularly useful approach to making art or music. You make music with Vitamin S, the improvisational group based in Auckland? Yes, that comes out of a tradition initiated by Derek Bailey, the British avant garde guitar player. He developed a mode of performance called “Non idiomatic free improvisation”. He wrote a very interesting book on improvisation where he looks into the different processes and cultural traditions of improvised music. He suggests that this type of approach would have to be the way humans would have originally made music. Anyway, in 2006 I walked through the door of a bar called The Wine Cellar in Auckland in New Zealand and quite by accident found a group of people who were working on the kind of music I had been interested in all the way back when I was in Belfast with The Allotropes. They have a list of people who are interested in producing improvised music and two groups of three people are randomly form a database of potential participants are chosen to perform on the nights that Vitamin S get people together. I have performed a number of times at these events and that has also opened doors to various solo performances. How did you get all the way to New Zealand? I got married and had a family and at one point I had a senior position in the Pathology Lab at Edinburgh University until I had a nervous breakdown and became dreadfully ill with depression. I was able to re-train as a computer programmer and when I went to work, I met someone who was from New Zealand and in 2002 my wife and I moved to New Zealand. I worked in a Pathology Lab in Wellington. I moved later to Auckland to work in a lab there. My marriage broke down and my depression returned again. I was lucky to be referred to an excellent counsellor. He enabled me to make made a decision to go and study music. By this time, I’d met my current wife, Alice, and she was very supportive of my decision. I cut back to working part-time while I studied for a Diploma in Contemporary Music at Unitec in Auckland. There, I met Dr Jim Gardner (a composer and founder member of Apollo 440) and his wife Glenda Keam (an internationally renowned musicologist and composer), and Samuel Holloway who was one of New Zealand’s leading composers, and they were teaching the course in a way that was inspirational. I really enjoyed the course and they were exposing students to John Cage, early Bowie, Steve Reich, Miles Davis and I was the oldest student. Most of the students were Polynesian kids who liked rap music. The course opened the minds of the students and it helped me to look into what I wanted to do. I wanted to produce material that wasn’t restricted to song writing, or to producing material which was wholly derivative. Then I gave up lab work entirely and went on to University of Auckland completing a composition degree specialising in Sonic Art. I studied under composers John Coulter and Eve de Castro Robinson. Their support and encouragement was very valuable. Last year I completed a Masters degree in Creative Technology. Did this help your mental health? Yes. I think that suppressing that side of my personality, the creative side, didn’t help matters, so it was very useful, therapeutic even, for me to return to producing music and sound art. This eventually led you to Vitamin S? Well, those things happened in parallel. I was involved in Vitamin S from 2006. 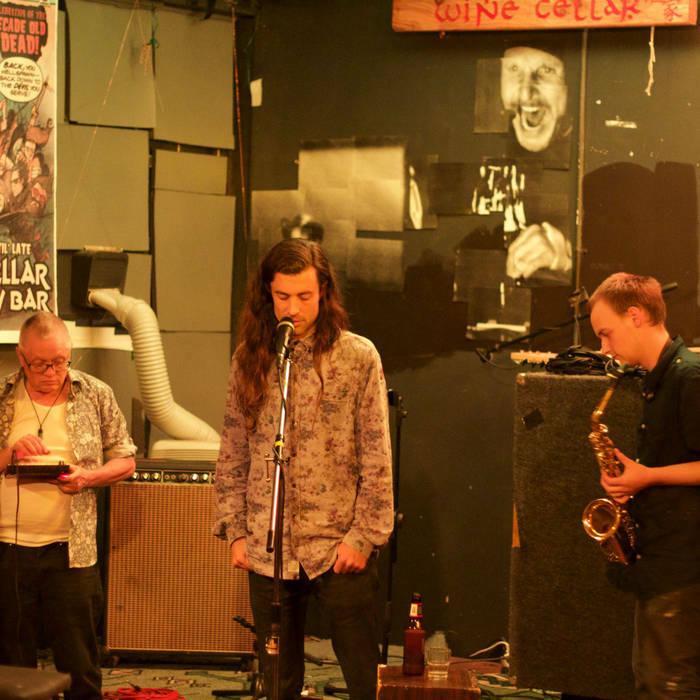 The way Vitamin S works as I have already said is that there’s about 100 people who are on a database and a random selection process takes place where two groups of three people are asked to come to a venue in Auckland, called the Wine Cellar, to perform improvised material. This can be anything from dragging a guitar along the ground to playing an instrument with an electric toothbrush. I am still not really competent on any instrument. For Vitamin S you don’t need to have any formal musical training, although there are some very accomplished musicians in the group. I have performed with all sorts of instruments at Vitamin S events, from invented instruments, synthesizers, saxophones pretty much anything that will allow me to express myself. This also got me involved with working with a group of contemporary dancers as part of a project called “Bangers’n’Mash” led by award-winning dancer and choreographer Kristian Larsen. And there is another group that you work with, Toy Triptech? Toy Triptech was a spin off from the Vitamin S performances too. I played with Rohan Evans (who owns the Wine Cellar) and we talked about forming a trio. Only two of us turned up for the first rehearsal but we kept the name anyway. The music we make isn’t completely improvised. We rehearse and work out a structure. It is loose but there is a structure. I use old midi boxes or loop pedals. Some of the loops are pre-prepared using Logic and other programmes and include composed material and found recordings. Rohan mostly uses apps on his iPhone through a range of effects pedals. One of us will produce a kind of background texture, which sometimes is very rhythmic, and the other will create a foreground with more gestural, agential material. Then we’ll swap roles. We have played at festivals in New Zealand, but mostly at the Wine Cellar. You produce films as well? Yes, I have the experimental music side of what I do and there are short films that I produce. I started doing that while I was working on my diploma. I produced an EP and from there I worked on a film to represent the music. Later when I was working on a music degree, I was doing my honours year and part of that was to work on combining music with visual material. I won an award for a piece called 53. The success of that piece led me to look at developing that side of my work in that medium. How might you sum up the impact of the artistic work you do on your mental health? I believe that we need to discuss issues around mental health. It cannot be hidden from public view. With regards my own situation, my wife has noticed a direct correlation between my artistic activities and how I feel. She would say that if I am not at the very least noodling around, finding a project to work on, being creative then my difficulties with anxiety and depression return. I am doing well at present and no longer need medication but it is reasonable to say that working creatively, being part of musical exploration is essential to my well-being. In Auckland there were 8 handsets which were suspended from the ceiling and you could listen to the messages. I am transferring this to a Belfast context and universalising the approach. The people will be from all the different communities, and different walks of life and the aim will be to look at similarities in people’s attitudes to these kind of feelings. I am also working on a project where I am investigating what has happened to Ulster Scots culture since I have been away. I detect that there has been a shift and I intend to talk to people with all sorts of opinions to look at the culture and what changes have taken place and hopefully produce an installation at some point in the near future.